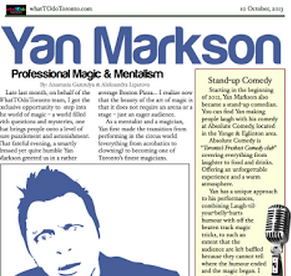 Spotlight on Yan Markson! 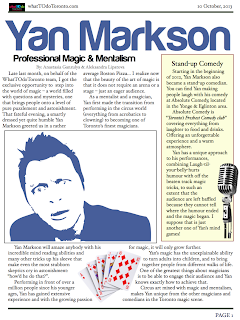 New article about Yan’s Magic, Mentalism, Circus performances. 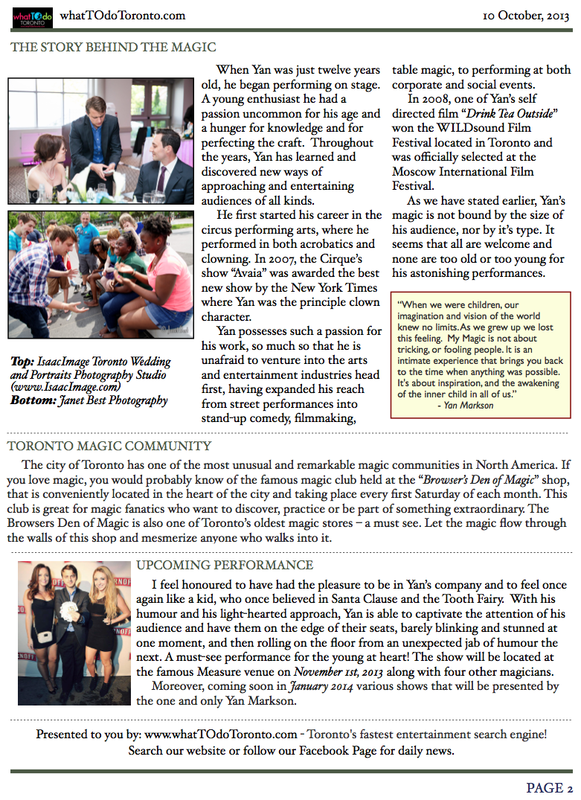 Check out this new article written about my magic/mentalism/circus performances by whatTOdoToronto.com!! I’d like to give a huge thank you to Anastasia Gansula and the team for putting this together, and all the kind words. It looks great!